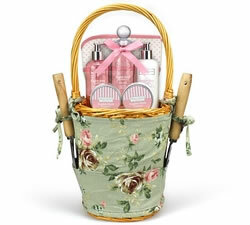 Relax, unwind and indulge with our range of luxurious pamper hampers. Our pamper gifts start from £23.00 and are beautifully presented with scented toiletries arriving gift-wrapped to their door. 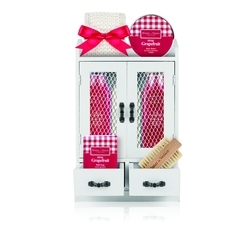 Our pamper hampers are the perfect way to unwind after a long hard day. 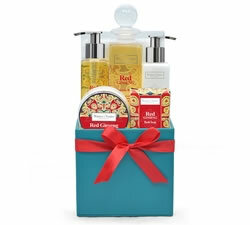 They contain everything that's needed to soothe, unwind and rejuvenate. 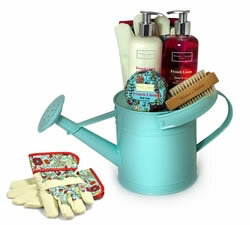 Inside the beautifully crafted range of hampers you'll find scented soaps and candles, body butters, lotions and shower gels, and even a gardening themed gift, containing a bath soak soothe the aching limbs of any keen gardener. 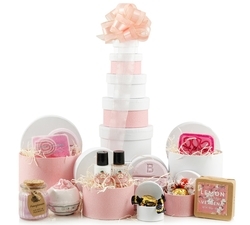 Our pampering hampers all arrive gift-wrapped and beautifully presented. There's something for everyone from a green fingered mum who loves a long soak after a day in the garden to fizzy bath bombs for those who are a little more effervescent. Send a pamper hamper to anywhere in the UK, using a tracked and signed-for service so you can be sure it has arrived safely. 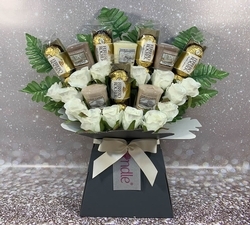 Perfect to say "get well soon", as a heart felt Thank You, or just because they deserve some pampering!